Business & Residential Sofa Cleaning Service Kensington and Chelsea SW | RDA Cleaning & Maintenance Ltd. Adding a stylish sofa to your interior will make it more elegant than ever. But it will also make your housekeeping job tougher. Keeping such furniture clean and shiny is not a harsh task if you rely on a professional sofa cleaning company Kensington and Chelsea SW. We offer you commercial and domestic sofa cleaning service at fraction of the cost! We guarantee you full customer support services - 24/7 with no exceptions. RDA Cleaning & Maintenance Ltd. has always been approaching each customer with an individual manner. This is why we have managed to compose one universal sofa cleaning service that can suit anybody`s needs. The skilful sofa cleaners are instructed to start the procedure with testing products and finding the most appropriate method for cleaning. Our sofa cleaners Kensington and Chelsea SW treatment methofd is suitable for all material types: synthetic, wool, cotton, linen, silk, viscose, organic fibre, suede, plush, chenille, nubuck and acrylic. We can remove all spots and stains: oily, vomit, wine, coffee, urine and etc. Vacuuming is included in the price, too. We also pre-treat the area for maximum impact on the bacteria. Dusting reduces the allergen agents to the minimum. 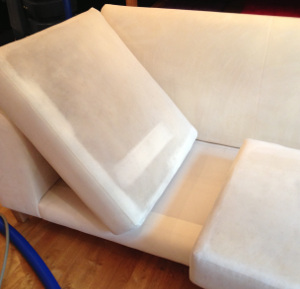 Book Sofa Cleaning Kensington and Chelsea SW Appointment Today! Hurry up and make a quick and simple reservation for our affordable sofa cleaning service in Kensington and Chelsea SW. Don`t hesitate to call us on 020 3404 1646 right away! Get a free quote or make a direct order via our online booking form today!